Soya business is one of the most vibrant sector that keeps life going to many youths of Nkambe town in the north west region of Cameroon. Naka Eric is the proprietor of the famous ministry of soya in Nkambe. This young father of four has been roasting meat (soya) for eight years. He says he had trained three others who today run their own business. However it should be noted that there are more than 15 soya sell points in Nkambe town but the ministry of soya where Naka is boss is an outstanding place in town. Joseph Bashi is a household name in Cameroon when it comes to football. He is not just a soccer promoter but one of those rare Cameroonians who for several years now has been at the forefront of encouraging and developing the football nursery for prosterity. In a quirk of fate, Joseph Bashi has demystified the myth surrounding youth football in Donga Mantung Division of the North West Region to organize a football tournament bringing together teams from Nwa, Ndu, Ako, Nkambe and Misaje sub Divisions respectively. But Joe Bashi as he is popularly known was born with the gigs of it. He is a charismatic and pragmatic young man who believes organizing championships in the rural set up can rejuvenate football in Cameroon. To him, the rural areas are where talent is hidden and could only be discovered if football is taken there. History has it on record that he initiated the All Anglophone Tournament in Yaounde as well as the North West Football tournament, which for several years now has become a social bonanza for the Anglophone community in the nation capital. The truth is that Joe Bashi mustered enough experience in developing young talents and has come back home to consolidate his achievements as an emblematic football promoter and he actually breaking the frontiers by uniting youths through football. The most interesting thing is that Joe’s overwhelming victory in succeeding to stand out of the madding crowd speaks volume given that he has succeeded in blending culture and football as a tool that strengthen social cohesion. “It is not only about football, it is also about bringing together Donga Mantung musicians to showcase their talent during the final. Musical albums have been produced and talents in the music sector have been uncovered”, he told this reporter. More so, Joe Bashi is a gifted mobiliser and he clutches with the God given charm that every time he takes a direction, his true followers are many. “The first thing is that we want to bring the people together and look at the talents to see those who could be encourage to take football as a profession”. Joe Bashi is pleasantrily an attractive man, down to earth and soft-spoken too. He is also a good public speaker yet very strict and firm man who loves soccer. As great men will always have great ideas, he says “we have invited renowned national football coaches to come and see for themselves what Donga Mantung can offer. You know bringing people on and around the field leads to many other good things happening, ie people will discuss other important issues, new friendship will be built, relationships strengthened and even family ties reinforced”. No one would deny the fact that Joe is greatly loved by the youth. Some years back, Joe sponsored football tournaments in Binka village and Nkambe Central but this is the first time that he wholeheartedly took the challenge to unite the entire Division through football. Besides, Joe is very perfect in organizational proficiency; he has shown his worth as a football promoter by humble working for development of football in the division with the hope that “Donga Mantung will one day produce a soccer star or one that will play in the National team”. But above all, he is full of character, wisdom and conscience. People who frequent him are shock to see the good manners he exhibits when he communes with others. During the quarter finals between the Warriors of Nwa and Binju FC, Joe expressed satisfaction at the play style exhibited by the young players. “I think I am happy that at this level of the competition, our objectives of getting some good players with whom we can work with for the next few years are met. Notwithstanding I think it would be necessary that we also see how we can build up the capacity of referees”. What make him different is his versatile nature and the fact that he says “there are prospects that the Division can produce world class footballers like Eto’o Fils. He can put on many caps without mistaking any. “It is not only about young talents it also about getting the best referees and giving them the support to perfect themselves". This is to say that he can perform the functions of a manager without allowing one to influence another. Football promoters begin his rise as a self-motivated, captivating, insightful and as visionaries to astound the world with the cleverness of the solutions to peoples’ problems. “I know football can help families, take the case of Eto’o, a renowned footballer can develop our division”. In many cases, such a visionary always appears to be the savior of the masses. It hardly takes a new configuration of promoters to belief for people but an acknowledgment and an acceptance of the fact that we will have to hold views that are different to make good choices for the football nursery to grow. His dream is not only to bring talented young footballers to the national level but hopes to break the frontiers. For the first time in the history of Donga Mantung, a football team from Nwa participated in a tournament in Nkambe. Schools have been doing it but has always been difficult for individuals to take that challenge. Record have been registered and it is hoped that by the end of the tournament, many more will enter into history books. The Committee to oversee the 2nd edition of Hon. 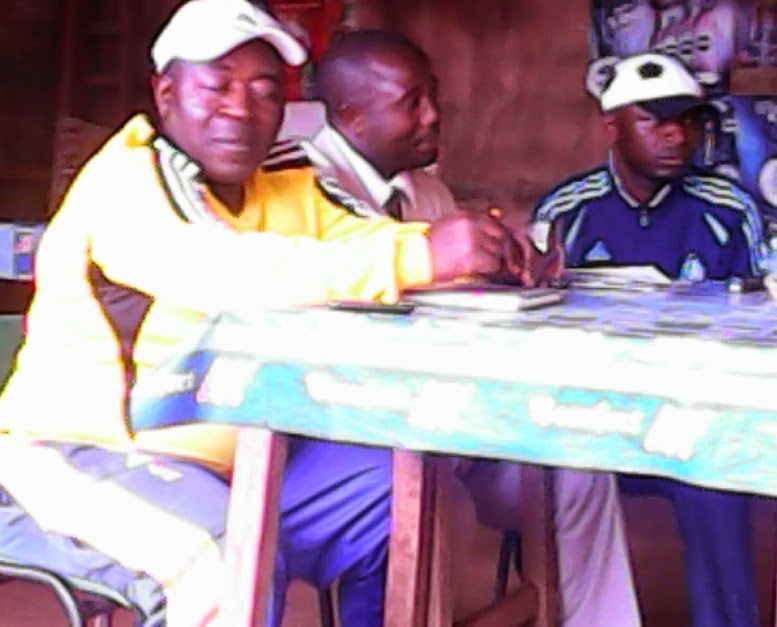 Awudu Mbaya Cyprian’s Holiday Special Football Tournament met today July 29, 2014 to strategize on the rules and regulations of the tournament. The meeting which took place at the Nkambe council club behind the grandstand was chaired by Loya, the Divisional President of FECAFOOT and Samba Kingsley, the Coordinator. According to the organizing committee, the matches shall involve male and female football teams of the Donga Mantung Centre Constituency, (Nkambe Central and Ndu Sub Division). Club Presidents expressed joy and gratitude to Hon. Awudu Mbaya for his endeavour to promote the football nursery in Donga Mantung Centre and urged other elite(s) to do the same. With the falling football standard of the National team and considering the poor performance at the just ended World Cup football jamboree in Brazil prospects are high that there is need for the rejuvenation of soccer in the country. This could only be achieved through the promotion of tournaments of this magnitude, Samba Kingsley said. He disclosed that prospects of bringing some experienced and renowned football coaches to Nkambe during the semi finals and the final are very high given the fact that last year, venerated football players like Wome Nleng were in Nkambe to cheer up young footballers during the finals. The cash prize for the male tournament is set at FCFA 700.000 while a total sum of FCFA 300.000 has been set aside for the female tournament. Speaking to journalists after the meeting, Samba Kingsley said that the official launching shall take place in two distinct localities, Nkambe this weekend and Ndu next week. He however underscored the importance of the tournament adding that organizing Committee in collaboration with FECAFOOT Donga Mantung shall oversee that the tournament takes place without hitches. In Nkambe Central, Samba Kingsley said that five teams have already registered and the number is expected to be more by tomorrow as applications continue to come to the organizing committee. There were trumpet blasts, singing and shouting in Ntaba in the Mbaw plain as Timothy Holiday Football Tournament kick-started last Sunday with a lot of enthusiasm portrayed. The sound noise from the nearby football pitch echoed into the hills of Sop and the plains of Mbaw with every fan clubs showcasing their strength to grasp the trophy donated by the young cameraman Timothy Gonga Kari who took the challenge to sponsor the tournament from his little earings. 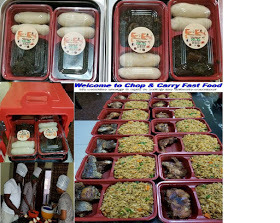 Being the first of its kind, the launching was heavily attended. In fact no one was left back home just to be told of the excitement. 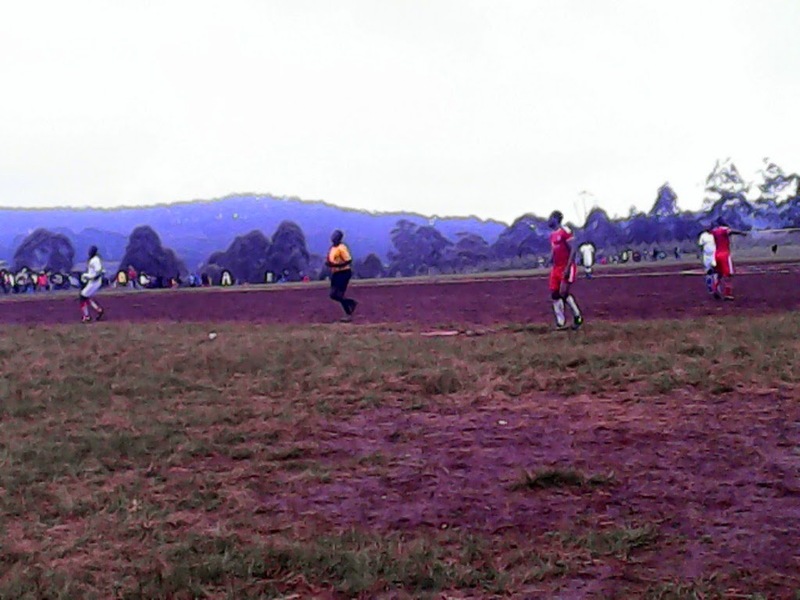 Impressionists had last Sunday's football tournament rated as the highest crowd puller in the entire Mbaw Plain. Its promoter and lone sponsor Timothy Gonga says he initiated the tournament to bring together youths during this summer holidays. Speaking to this reporter after the football encounter between Manang FC and Kibung FC, Timothy said he was overwhelmed by the massive turnout and the encouragement he is getting from some elders. “I have also discovered that bulk of talents we have in this area and I wish to thank God for giving me that inspiration”. 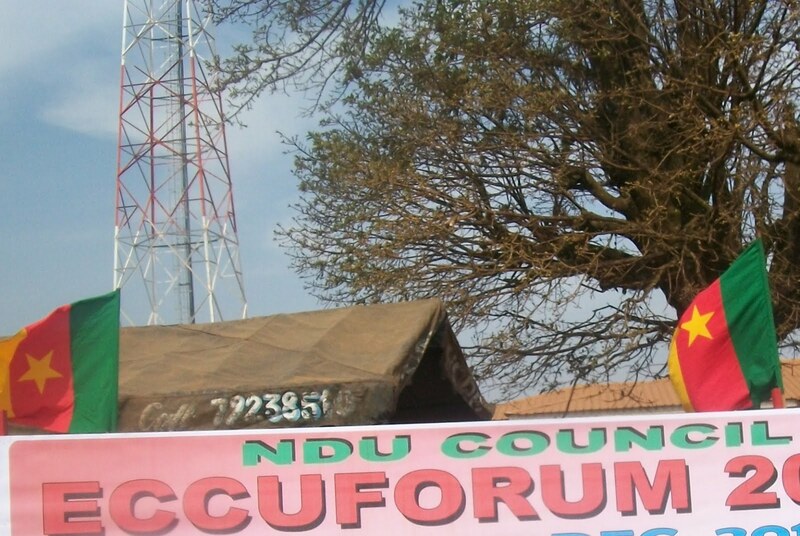 He lamented that even though some elite(s) are reluctant in promoting social gathering like football tournaments, he is hoping that the Ndu Council will support his efforts. “I am still waiting on the Ndu given that the mayor promised to chip in something to support our initiative”. During the first encounter between Manang FC and Kibung FC, soccer fans travelled as far as Mbawnso, Mbawrong, Ntem and Sop to watch the match. Even though the match ended by each side scoring one goal, the enthusiasm and fanfare that surrounded the entire Mbaw plain was splendid. The tournament which carries a cash prize of 50.000 FCFA has been described by many football lovers as the beginning of new horizon for the entire Mbaw plain. 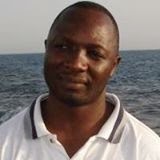 “50,000 FCFA is not much money that can gather a crowd of about 200 people around the pitch, it is rather significant that this tournament can serve as a football nursery for this area”, Timothy Gonga concluded. It should be recalled that seven teams have registered and are competing in the tournament. They are Mujoh FC, Koprong FC, Manang FC, Kibung FC, Mbunkuh FC, Ntaba FC and the Carrefour Boys FC. Wednesday, July 23, 2014, will remain a great moment in the life of Mary Abeck Akwa. Engaged in the pursuit of justice since May 10, 2007 when, with impunity, Gilbert Tsimi Evouna, the government delegate to the Yaounde City Council in flagrant violation of the law, demolished her building with several apartments in Yaoundé. We remember all the steps incurred by the victim and given that all avenues for conciliation between the parties have been unsuccessful. Angered by the destruction, Mary Abeck Akwa took the Yaounde City Council to court. In handling down the judgment recently, the Administrative Chamber of the Supreme Court took note of the ruling of Sept. 7, 2011, in which the lower court had condemned the Yaounde City Council, to pay a sum of 188.880.000fcfa against the astronomical sum of: 1.688.880.000fcfa requested by the accusing party. Appeals were filed on both others. After the production of a large number of submissions by the parties in conflict, the case was again enlisted for discussions, at the hearing of the Administrative Chamber of the Supreme Court on 23 July. While deciding on the foreclosure of the solicitor general filed out of time, the rapporteur held admissible the appeal briefs by the City Council and Mary Abeck Akwa. 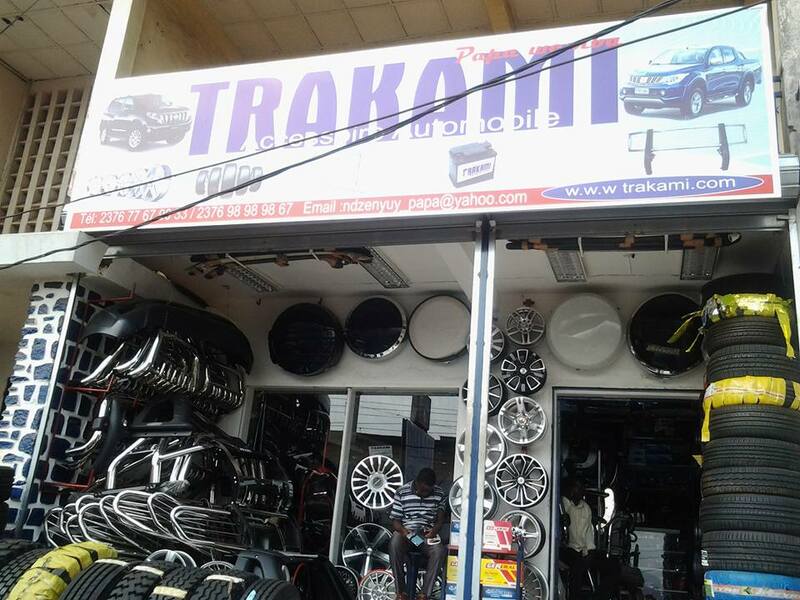 The Court ruled and approved that the compensation for the damage and all damages are attributable to the Yaounde City Council. Better, Court slammed the City Council to pay the sum of 188.880.000fcfa. In his reply brief, and more vehemently challenge the claims of the complainant because it produced no expert report on the evaluation of the site before its demolition, the public prosecutor considers that even if there has been abuse of the law by the City Council, the amount of 188.880.000fcfa, appears excessive. After two hours of deliberation and upon resumption of the hearing, the President of the Administrative Chamber of the Supreme Court, Magistrate Clément Atangana delivered the final judgment. "The Court upheld the payment of damages to Mary Abeck Akwa at the sum of 188.880.000fcfa, as ordered by the Trial Chamber of the Supreme Administrative Court and directed that it be executed against the Yaounde City Council". Mary Abeck Akwa, felt that the Younde City Council deserved a higher sentence, for the time being, feels relieved, excited, happy and sublimated to see the right and justice triumph over some of the abuses by caciques, dinosaurs and apparatchiks who believe themselves "above the law". Public opinion in Yaounde holds that this conviction against the City Council will dampen the ardor of a government delegate whose actions, for the majority, are repressive and mercantilist instead of being brought to the socialization and moralization of the masses. to head the North West Regional Committee for the follow-up of the physical and financial execution of Public Investments, from all sources of financing in the Region. The Regional Decision No 167/RD/E/GNW.45/GS/S.4/GS/ALAD signed by North West Governor Lele Lafrique Tchoffo Deben Adolph was made public in Bamenda on July 24, 2014 during the fourth quarterly meeting that took place at MINEPAT Hall. Members: Representative of the Governor, Regional delegate of MINMAP, The Regional Chief of Control Brigade MINMAP, Regional Controller of Finance, President of the Regional Tender Board, the Regional head of the Public Contract Regulatory Agency, the President of Internal Tender Boards (MIDENO, UNVDA. UBa, BCC), Director General MIDENO, General Manager, UNVDA, Regional Delegate of MINEE, Regional Delegate of MINESEC, the Regional Delegate of MINEDUB, the Regional Delegate MINSANTE, the Regional Delegate MINEPDEP, the Regional Delegate MINFOF, the regional delegate MINPMEESA, the regional delegate MINTP, the Regional Coordinator PNDP, the Regional Head of FEICOM, the Director of Rural Development, Honourable Andrew Kwe (MP Oku), Hon. Mrs. Enih Mbah (MP Momo), Mr. Tosam Bernard Nenghabi (mayor Belo Council), Mrs. Caroline B Bongwa (mayor Bamenda I), Fon Fobuzie Martin (Representative of Traditional Rulers), Hon. Tasi Ntang Lucas (Representative Civil Society), Mr. Nji Charles (Coordinator CHAMECC). The Committee headed by Hon. 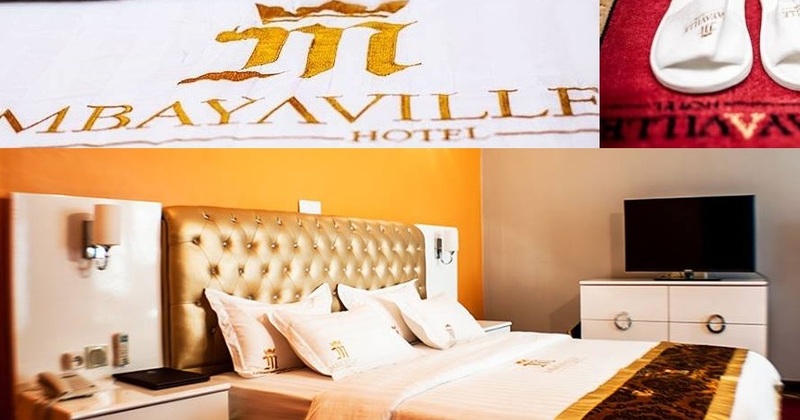 Awudu Mbaya shall have as main objective to promote a participatory approach in the management of Public Investment in order to obtain optimum realization of development programmes. 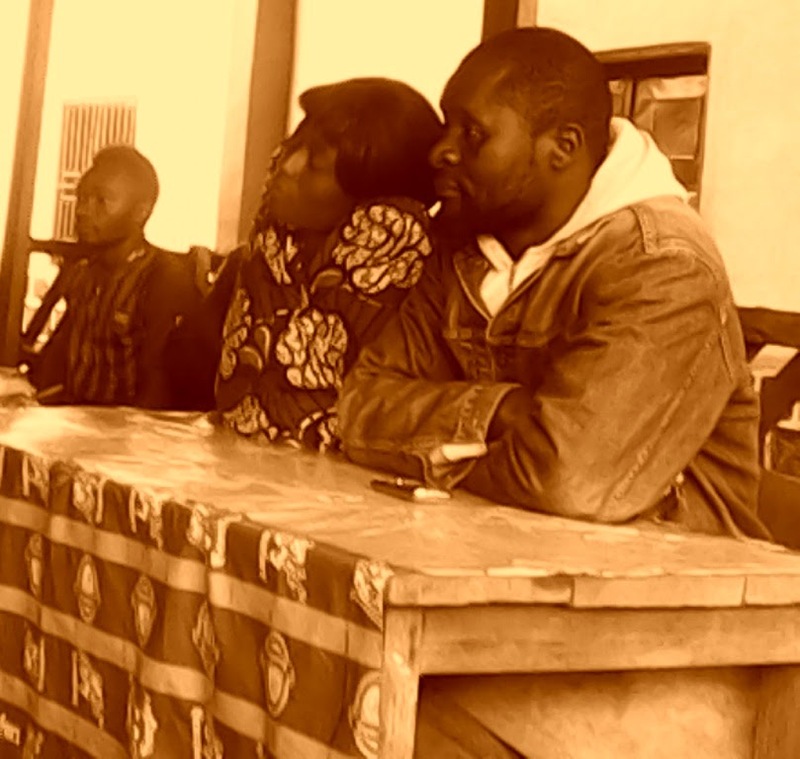 It should be recalled that during last Follow-up meeting, the Committee headed by the Questor at the National Assembly observed with dissatisfaction the poor execution of the Bamenda –Mbengwi road among others. However, at the end of the meeting the Chairman of the Follow up Committee, Hon. Awudu Mbaya told journalists that he is satisfy with the general level of execution of Public Investment Budget in the region which stands at 38.27% physical and 10.87% financial. He however called on the voter holders, contracting officers and officials of the Ministry of Public Contracts to hasten the award of contracts in order for North West to emerge. He also frowned at the conflict of interest that has become a traffic jam to the execution of contracts. Hon. Awudu also made a clarion call to all beneficiaries to report any poorly or abandoned contract to the committee. Members also urged the central administration to forward the list of contracts in the region awarded to the regional delegations concern to enable them follow up its execution. The recent attack by Boko Haram insurgents in the Northern Region has left Cameroonians wondering whether last Sunday’s incident was not a “matter of unpaid ransom and or failed promises”, writes Oumarou Moktar. The question unpaid balance as agreed with Boko Haram before the release of the Fournier family has become a major debate on the social media as too many unanswered questions continue to loom. Yet allegations abound that the Vice Prime Minister’s wife has been released after the bloody confrontation of yesterday. Notwithstanding, the piece of information has not been confirmed. Tweets on the social media say she was released but others say the information is faulty. Worthy to recall that following the abduction of French citizens by Boko Haram it is alleged that the later did not fulfill his financial engagements. On Sunday, July 27 at about 4 am, the insurgents targeted the residence of the Vice Prime Minister and that of the Mayor who doubles as the Lamido of the area. It is aired that from the early morning to about 9 am, the city of Kolofata was besieged by insurgents. Yet, the reinforcement from Mora, where there is a military base and that of the Battalion of the Rapid Intervention-BIR was belated. By the time the reinforcement came, Kolofata was ready counting its deaths. At the Vice Prime Minister’s residence, it is alleged two bodyguards, a driver, cooks, gardeners, nephews, nieces et cetera were shot to death. The insurgents who were conscious that the Vice Prime Mnister was at home to spend the feast of Ramadan became furious shooting almost everyone around. When the observed that the Vice PM couldn’t be reached, they took for prisoner his wife, her sister and two other family relatives. On the side of the Mayor, the kidnapped the mayor-Lamido (Abba Seini), his wife, four of his children. It is alleged that at the Vice PM’s residence, about 40 people where present but only three of them were untouched. Of these three is the son of Amadou Ali, a student in Europe who travelled back to commune with his family. At the Lamido residence, one of his son and his nephew were not touched. Huge damages are also reported as it is alleged that the residence was set ablaze. Moreso, the insurgents carted away with three luxury cars. Public opinion on the social media is however critical about the issue. A school of thought holds that if the kidnappers of the wife of the Vice Prime Minister came to collect the balance of a previous ransom that was outstanding, then ransom payments to Boko Haram have finally opened a road for Cameroon to hell. It should be recalled that last May 26, 2014 while addressing militants of the Social Democratic Front-SDF in Ndu and Nkambe, Chairman Ni John Fru Ndi wondered how money paid to Boko Haram in exchange for abducted French national found self in the hands of some government officials. Ni John Fru also revealed that only 10% of the money was paid out by the negotiators. He went further to explain that the “lazered” banknotes were tracked by French satellite inside the Presidency of the Republic. However, Cameroonians have expressed disgust over the recent attack at Kolofata. Communication Minister Issa Tchiroma Bakary speaking on state television was categorical on the fact that Cameroon will win the war against Boko Haram insurgents. He urged all Cameroonians who could lay hands on any information in that respect to work in collaboration with the forces of law and order. He said President Biya is determined to protect everyone in Cameroon soil as well as their property. Members of the Islamic sect Boko Haram have attacked the residence of the Vice Prime Minister, Amadou Ali kidnapping his wife, his body guard, Lamido-Mayor of kolofata, children in the Far North Region of Cameroon. Colonel Felix Nji Formekong, the second commander of Cameroon's third inter-army military region, based in the regional headquarters Maroua, is quoted to have said that: "The situation is very critical here now and as I am talking to you the Boko Haram elements are still in Kolofata town in a clash with our soldiers. Some of them have already taken away the wife of Vice Prime Minister Amadou Ali and her house help while the bodyguards of the Vice Prime Minister have succeeded in taking him out of the town to Mora,” Formekong said, adding that there could be more casualties”. The residence of Amadou Ali, according to what we gathered was set on fire yet the number of people who lost their lives is still to be confirmed. Cameroon’s minister of Communication Issa Tchiroma Bakary speaking on the state media launched a clarion cal on the population of the Northern region to collaborate with military officers. He said Muslims in Cameroon are very tolerant. “We have no other option than to win the war against Boko Haram” as declared by the head of state, Issa Tchiroma Bakary added. Tchiroma emphasized on Cameroonians who could lay hands on any information about Boko Haram to work with the forces of law and order. It is alleged that at least four soldiers were killed in the previous attacks. 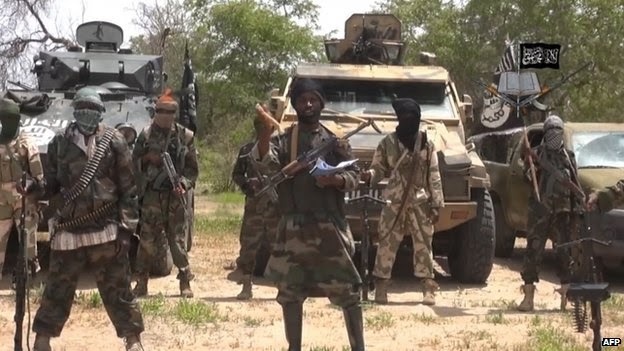 The abductions come barely two days after some 22 suspected Boko Haram militants, who have been held in Maroua since March, were on Friday sentenced to prison sentences ranging from 10 to 20. In a related story, reports also say the locality of Amchidé in the same region was under heavy attack as well. In recent weeks as Cameroon has deployed troops to the border region, joining international efforts to combat the militants and has suffered an increase in terrorist attacks as a result. This morning's attack is the third Boko Haram act of violence in Cameroon since Friday. Nine years old schoolboy Saneie Masilela has become the world's youngest groom after marrying 62-year-old South African Helen Shabangu at a formal ceremony witnessed by her children and grandchildren. Dressed in a silvery tuxedo, baby-faced Saneie clutched the hand of mother-of-five Helen Shabangu, as they repeated their vows a year on in front of 100 guests at their wedding. 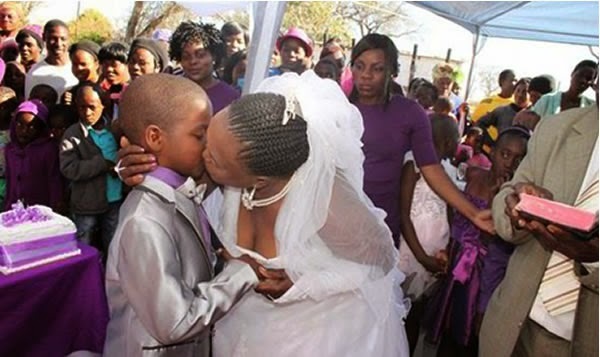 At the ceremony, which took place at Ximhungwe village in Mpumalanga, South Africa, was witnessed by the brides' children who are aged between 28 and 38. Saneie said he held the ceremony to make the marriage, which he entered into last year official but other villagers described it as sickening. Among the guests at the ceremony were Helen's long-term husband Alfred Shabangu, 66. Both families claim the wedding is simply another ritual after Saneie was told by his dead ancestors to marry last year and his parents forked out £500 for the bride and another £1,000 for the ceremony. However the schoolboy wanted to follow South African tradition and insisted they have the second ceremony this week to make their marriage official. Saneie, the young groom said he still hoped he would have a proper wedding to a woman his own age when he was older. He added: “I told my mother that I wanted to get married because I really did want to. "I'm happy that I married Helen but I will go to school and study hard. When I’m older I will marry a lady my own age." Recycling worker Helen, said: “I’m very happy that the boy chose me and my family support and understand that it is part of making ancestors happy." The Cameroon supreme laws (the Constitution) and ELECAM supposedly independent elections organising and monitoring body are unfortunately tailored to maintain one party, the ruling CPDM incessantly in power. Cameroon Constitution permits the executive (President) to usurp the functions of the other arms of government – the legislature and the judiciary. The President here single handed appoints members of the legislature (which include the 30 unelected senators). 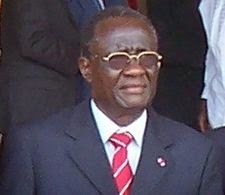 President Biya is the Chairman of the higher judicial council – which outfit transfers, sanctions, and promotes magistrates amongst other chores. Thus litigations involving CPDM or Biya are often tainted in regime favour - hence the reluctance of many a forward looking business concern from operating in such non-equitable justice system. A Supreme Court senior judge (Alexis Mouelle who keeps his coveted position till date) here told the entire world in the early 1990s that his hands are tied when it comes to electoral and other litigations which threaten the CPDM interest. The press, as expected of such a dictatorial regime, is also not spared - the media complaint commission(s) which in many a democracy is(are) independent, voluntary, non governmental and non profit making in Cameroon (called the National Communication Council) is government created with government appointees singing the regime’s praises with the exception of a weightless few. In democracies, members of a media complaint commission are drafted from journalist associations, editors’ guide, publishers (or owners of media outfit) associations, the government and the public (civil society). Her functions include arbitration of complaints from its members and press ethics- monitor. ELECAM - for polls is created by Biya who is also national president of CPDM. Majority of this body’s personnel are CPDM militants despite the multiplicity of meaningful political parties in the country. Elections are rigged in various guises by the ruling CPDM Party which curiously here is not different from government. The ruling party illegally accesses public treasury with impunity during electoral campaigns to the detriment of not only rival parties but the nation’s economy. Cameroonians have petitioned against such underhand practices since the reintroduction of multiparty politics in the early 1990s till date to no avail. CPDM formerly CNU has continuously been in power now for more than 50 years (with barely two Presidents – Ahmadou Ahidjo and incumbent Paul Biya). Biya has been on seat as President of Cameroon for more than 30 years now through intrigues. Cameroon descended into this disgraceful rank of a heavily indebted poor country (HIPC) in Paul Biya’s reign. – No postponement under any circumstances! This general revamp of laws and structure should of course be done in collaboration with SDF the number one opposition and other meaningful political parties and segments of our nation, Cameroon. My party (SDF) has blueprints for genuine development and progress which include “NESPROG” that more than adequately address Cameroon’s problems – the execution which have been this long blocked since the early 1990s by the CPDM dictatorial government. It is this Biya/CPDM one man rule barrier that has to be broken by all means without further delay. We will embark on the last resort measures to get Cameroon working as historically obtained in other democracies if the regime fails to turn to good governance and the rule of law as demanded by majority Cameroonians. I will be meeting in the days ahead my Party Chairman, Ni John Fru Ndi and Cameroonians to explain the necessity of this stands. The task is achievable if all patriotic and progress cherishing Cameroonians rally up with us. Nyamusa is more than prepared to lead the struggle as 2018 presidential hopeful – no price is too big for me to pay in liberating and guiding my people. Our priority is the rule of law following people’s yearnings – others elsewhere go through this to be emancipated and escape from poverty, my people, Cameroonians would not be the exception! By Felix Teche Nyamusa, 2018 Cameroon Presidential hopeful. Where is MINMAP Delegate for Donga Mantung?